If you live or work in Hollywood Florida and you are injured in any type of accident the Hollywood personal injury lawyers at the Wolfson Law Firm are available to provide full and complete legal representation for you and your loved ones. We can come to you or you can visit us at our Miami personal injury law office or by appointment in our Fort Lauderdale office. Just call us at (305) 285-1115 or toll free at 1-855-982-2067 for your free and confidential consultation today. We can provide aggressive legal representation for all forms of personal injury cases throughout Florida. We handle all our cases on a contingency fee basis in accordance with Florida law. What that means is that you will never owe an attorney fee unless and until you make a recovery for you. In certain specific cases, we can force an insurance company to pay our attorney fee so that you may receive all the benefits after costs expended. Jonah Wolfson, the managing attorney of the Wolfson Law Firm, is a bilingual Hollywood personal injury and wrongful death lawyer. Our Hollywood personal injury legal team is also bilingual and ready to assist you. Just call us at 1-855-982-2067 and allow us the opportunity to work for you. If you or a loved one were injured in any type of accident you owe it to yourself and your family to make an informed decision on whether to hold the responsible party accountable. To do this, it is recommended that you speak with a personal injury lawyer and wrongful death attorney for your Hollywood accident. You should never be a silent victim. You’re entitled to justice. If you have any questions following any type of Hollywood accident call us at 1-855-982-2067 for your no obligation and confidential consultation. Be sure to get the answers you are entitled to as well as the justice that you deserve. 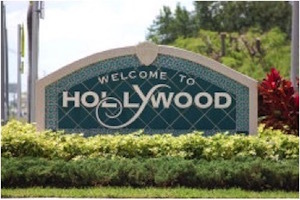 Our Hollywood Florida personal injury lawyers serve the communities of Hollywood and throughout South Florida including Dania Beach, Fort Lauderdale, Broward County, Pembroke Pines, Miramar, Hallandale Beach, Pompano, Plantation, Sunrise, Weston, Davie, Cooper City, Coral Springs, Margate, Deerfield Beach and Wilton Manors.